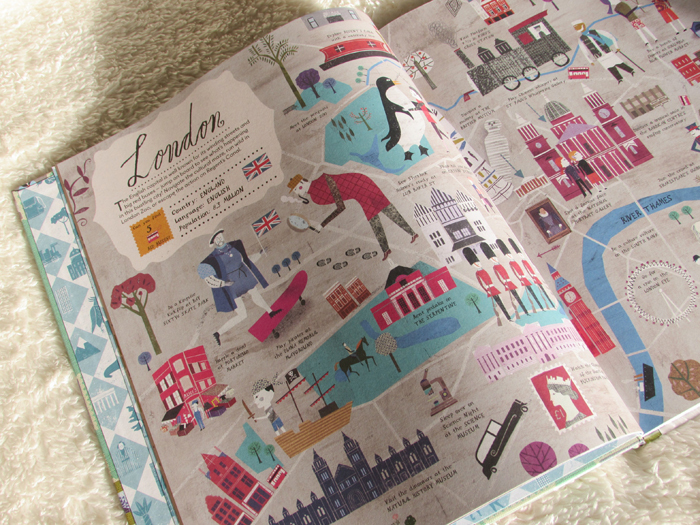 This non fiction book aimed at children, but just as well received on the shelves of an adult, showcases thirty of the best loved cities from around the world by pouring the personality of a city on a double spread page using beautiful illustrations, a few facts about the given city as well as a variety of activities and attractions within the city. Although I'm not the intended audience of this book, I still thoroughly enjoyed flicking through, appreciating the art and learning a little more about some of the destinations I have on my own travel bucket list - with featured cities including, Paris, Rome, Athens, Toronto, New York, San Francisco, Hong Kong, Tokyo and Sydney. 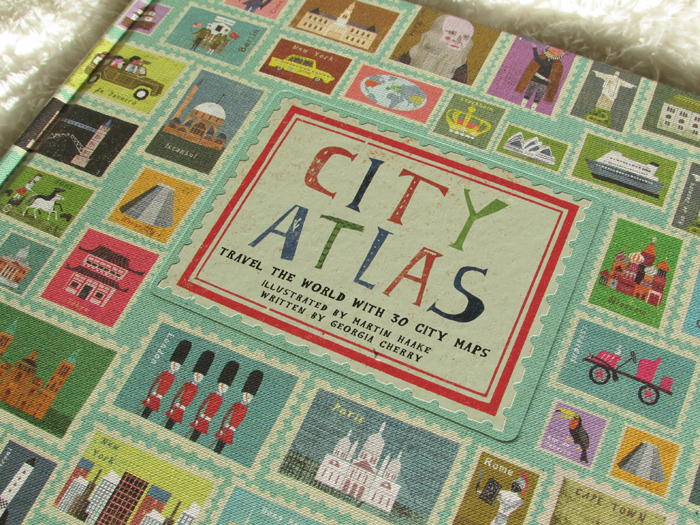 City Atlas is an interactive book - each city has five iconic items hidden within its spread and the reader is to find those items - and one that is sure to spark discussion among the children who read it, especially if it is explored by a family as a whole. If you know a budding adventurer, a youngster who loves to discover new places, or are planning to visit any of the thirty cities with your own family, then this book is for you - it's the kind of non fiction book children will love, with unique illustrations, packed full of knowledge and perfect for the curiosity children may hold for cities other than their own. That looks cool! I love finding fun books that still teach kids. Me too - they're my favourite kind. What I really like about City Atlas is that it's a book that can be enjoyed by all the family, and a book that grows with them. I purchased this book for myself, but with the intention to pass down one day.